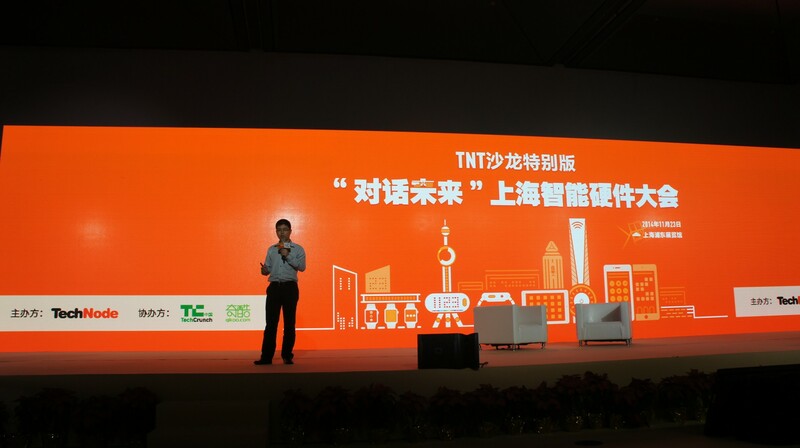 After a wonderful TechCrunch China/TechNode conference with a “Red Hardware” theme this August in Beijing, we brought the passion for hardware to Shanghai last week, holding a special edition of our TechNode Touch (TNT) event to highlight the latest thrilling developments in China’s smart hardware industry. LinkLoving: a smart health tracker and mobile phone for older people who might find the complicated operations of smartphones confusing. Users can upload the data by simply connecting the wristband and mobile phone with a cable rather than synchronizing through an app. Their children can check the data via the app and thus monitor the health of their parents and stay in touch accordingly. H. Tang: a smart watch tailored for the women’s market with an elegant design. In addition to universal features like text and call alerts, calorie intake and weather monitors, H.Tang’s embedded UV sensor informs female users of the intensity of the sun, helping them avoid inadvertent burns or tanning. Haloband: a simple customizable wristband merged with many phone control functions. It closed a successful Kickstarter campaign last year. Star 21: a fitness tracker that helps you start a healthy lifestyle and cultivate long lasting healthy habits through a unique gaming experience. It is developed by Singaporean startup OAXIS. 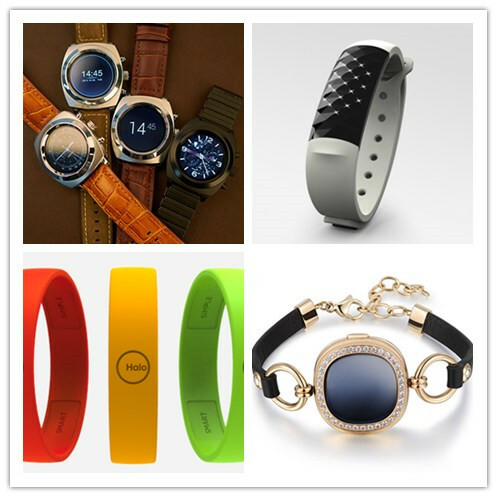 GEAK Watch 2: the second generation of Shanda’s smartwatch brand GEAK Watch. It is one of the first smart watches that feature a round dial design, and claims an 18-day standby battery life or 3 days for regular use. Weloop: a smart wristband with an e-ink screen. Energypad: a slim wireless charger. It embeds a 12W GS certified power supply which can work from 100V to 240V AC. IvyLink: the company showcased two products, a smart ring for couples and a smart socket. Kepler: an intelligent gas and carbon monoxide detector with active monitoring, intelligent alarms, portable design and more. Developed by Shenzhen-based smart home solution provider Orvibo. Modou: a smart router under Shanda’s GEAK brand. Click here for our previous report on the product. da Vinci 1.0 AiO: an all-in-one desktop printer which integrates scanning and printing capabilities. It is developed by XYZprinting, the Taiwan-based 3D printing designer and manufacturer. Nanjixiong: a 3D printing platform. BroadLink: a smart home appcessory maker. The startup showcased a portable WiFi amplifier and its smart plug at the event. The WiFi amplifier is raising funds on JD’s crowfunding platform. The smart plug can remotely control water coolers, water heaters and other appliances at home, or monitor home energy consumption. Whome Bulb: a music speaker and light show. Through the Whome app, users can sync their music with the Whome Bulbs to change color to the beat and rhythm of music, assign pictures to song, and more. Whome uses a 16m color LED lamp that supports 256 gears regulation. Daqiuzhang: an Android 4.3-powered game console by Xiaocong Technology. The product features Tegra T40s chip and 32G memory. NervAir: a smart air filter features a 7-inch screen, helping users track indoor air quality, humidity, outdoor weather, and more. iCcur: a smart thermometer for babies. Sky Innovation: a smart blood pressure meter for senior citizens. Cuptime: a smart cup that can record the water amount you drink everyday and remind you to drink in the most suitable times. Users can store drinking water data and synchronize to their mobile phone by Bluetooth. Wokamon: an app that combines the functionality of a pedometer and a virtual pet, aiming to motivate fitness device and app users to continue their fitness plans. 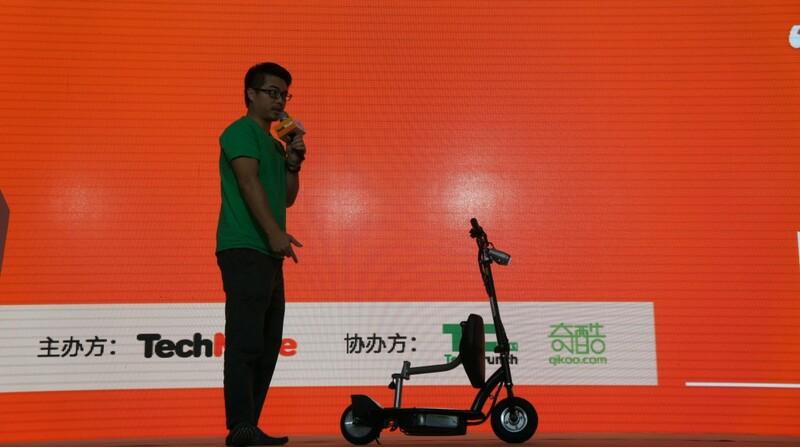 Coolpeds: innovative, quality personal mobility scooters that are affordable.